After traveling to the Belgian town of Nazareth to prepare for the spring Classics with Vital Concept Cycling Club, we also accompanied the team during the Tour de Flandes 2018. Would you like to see from the inside what the team race was like, led by Bryan Coquard? “What you feel the first time you race in one of these classics is a lot like that feeling when you got your first bike as a kid. And every year you return, you feel very close to the same thing.” And like all Belgians, and all cycling lovers, Vital Concept rider Bert De Backer is a fan of “Les classiques flandriennes” (“The Flanders classics”) and all the myths and epic stories that take place every March and April on the cobblestones. It doesn’t matter which Vital rider you ask. All their faces light up when they talk about this time of the year. “It doesn't matter if it’s raining, cold or windy…The riders and the fans are there 100%. Listening to the spectators, the atmosphere… It’s incredible; it’s like it was a religion,” says team leader Bryan Coquard. Everything he tells us brings back the emotions we experienced last year alongside the Orbea Factory Team: “It’s crazy,” Bert continues. “It’s even difficult for us to get to the starting line through all the people. It’s like the entire country is in a bubble. During these weeks, it’s as if there was nothing else in Belgium other than the classics. ‘Normal life’ does not exist; there’s only this,” he concludes.. The passion of the fans, the cobblestones in the Arenberg forest, the tough weather conditions, the mythical and formidable climbs of Kwaremont, Koppenberg and Kapelmuur…all form part of the History of Cycling, written in capital letters. To all of this we must add the excitement of races in which anything is possible: “In a mountain stage, you know that the chances of winning are limited to 10 riders who are above the rest: in the classics, each and every one of the riders dream about having that day when everything goes well and they can win in the end. They’re unpredictable,” says another lover of the Flanders classics, the very promising Swiss rider Patrick Müller. We saw this last year, going no further: everyone considered Sagan the favorite in the Tour de Flanders, but it was the unexpected Philippe Gilbert who unleashed the fury at the finish line. 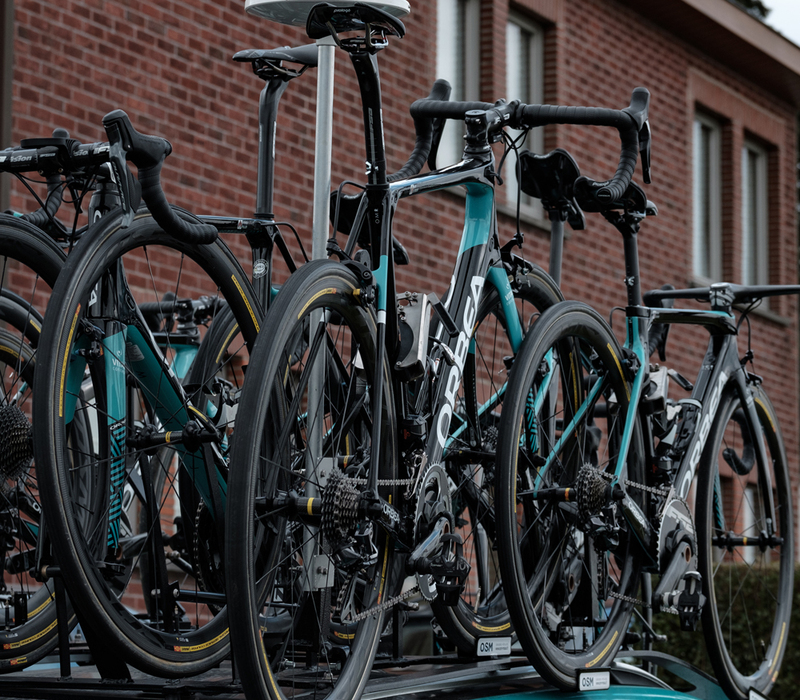 The entire team preparation is aimed at selecting the material, reproducing, anticipating and training for the conditions that the cyclists will encounter on race day, on the same roads where the Tour des Flandres, the Gent – Wevelgem and the Paris – Roubaix will be held. Every day we specifically prepare for one of these three classics, covering part of its course. 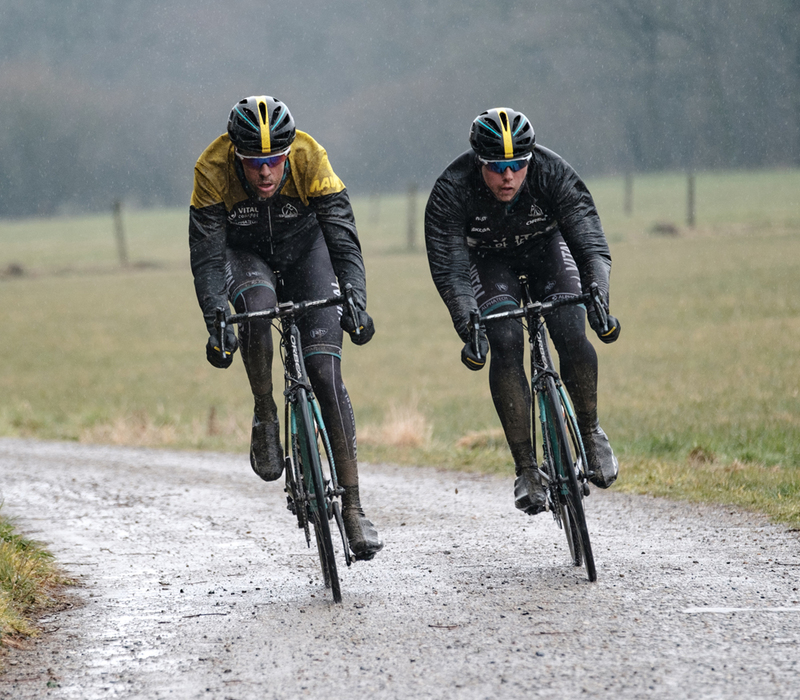 For example, on Thursday, March 8, the team did 160 of the 257 kilometers in the Paris-Roubaix. The training session left from Busigny (km 80 road marker) and ended at one of the iconic points of Roubaix, the Carrefour de l'Arbre, of course, passing by the emblematic Trouée d'Arenberg. Joseba Arizaga, Orbea’s road manager, traveled to the team meeting led by Jérôme Pineau to accompany and advise the Vital Concept team. 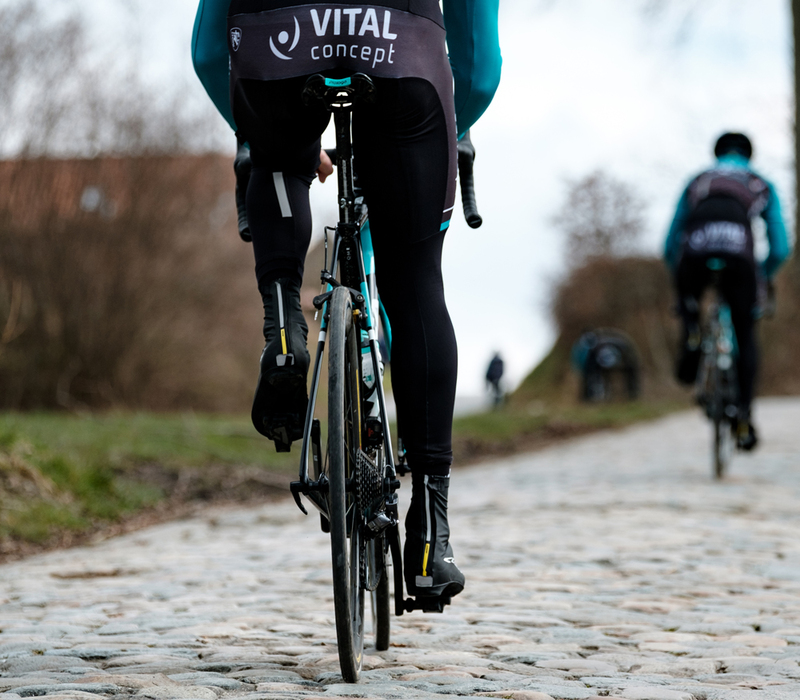 “In Belgium, we can find different types of cobblestones: from the most aggressive ones in the Paris-Roubaix to those in Flanders, where we find slopes of 10-20%, or the climbs in the Gent-Wevelgem… This is why the choice of materials is crucial: the bike, the tires, the pressures, anticipating dry or wet conditions… The Vital Concept technical team and Orbea work together to get all the data and make the most competitive decision on D day,” indicates Arizaga..
Orca OMR, the choice for the Classics. When cobblestones are the stars of the story, cyclists need the best possible balance between rigidity, efficiency and lightness, which are exactly what the Orca OMR offers. It’s a bicycle designed for competition, that translates into speed all the power that the cyclist applies while pedaling. “As a professional, you know that it’s not just a matter of the watts you put into the bike, but also what the bike does with them. In the Orca OMR, the relationship between the creation of watts and the transmission of power is perfect,” Patrick Müller indicates. In these classics, the choice of tires is also very important. Therefore, for races with a lot of cobblestones, like the Roubaix, the choice of 28mm tubular tires is the most appropriate option and the one offering the cyclists the best grip and greatest safety, because it permits lower pressures that provide better traction, more control and less fatigue. On the other hand, it is obvious that the larger the tires, the more energy is required from the rider. Therefore, if the race takes place primarily on asphalt, the most common choice is to use 25mm tires. The lighter ones favor energy savings by the rider. Like in every race, it’s a question of finding a balance between different concepts in order to achieve the best efficiency and performance. For this reason, all the material is tested under real conditions on the day of the race, feeling how the bike reacts and how the rider feels after every change, contemplating all the possible options in order for the cyclist to gain confidence and security on D-day.